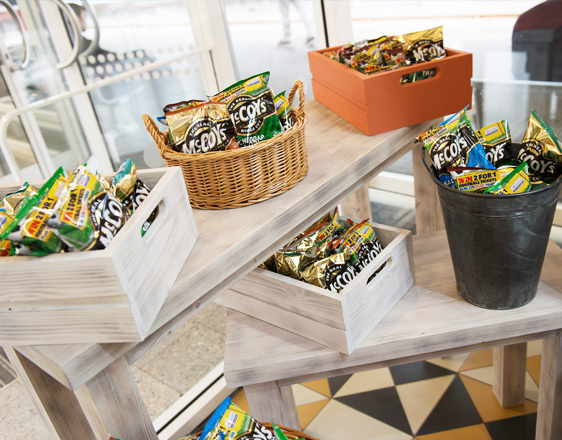 GIA were requested to consider the brand expression and design for a travel outlet with more emphasis on food and coffee, the current offer paid more attention to the retail offer. 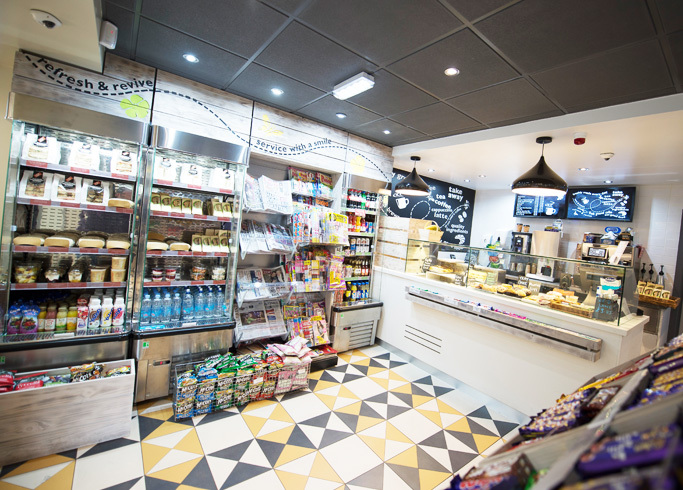 Customer flow in this takeaway unit was also an important area to get right as this site was growing in use but the design of the service area was not sufficient for the demand. The function and flow was addressed by a completely new layout. This incorporates two customer routes by splitting the floor space to provide two separate matching areas. Whilst considering the brand expression we worked closely with the client to develop the look and feel for this offer. 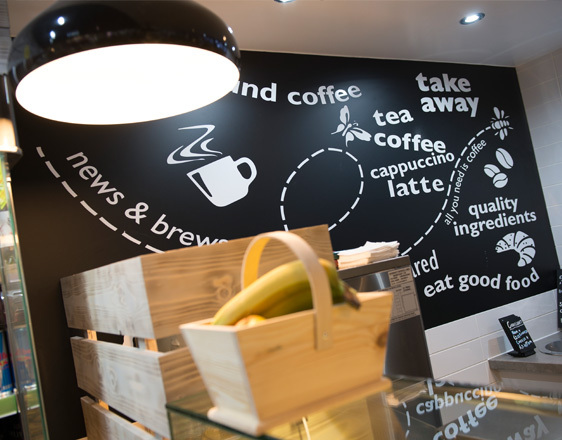 The graphics were designed to reflect the fresh food available and give a clean and fresh look to the café. 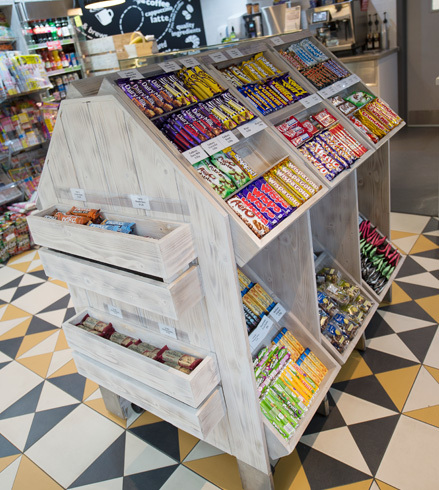 Bespoke displays were designed in the windows and a central island enhances the customer experience and presents the product in an interesting way. 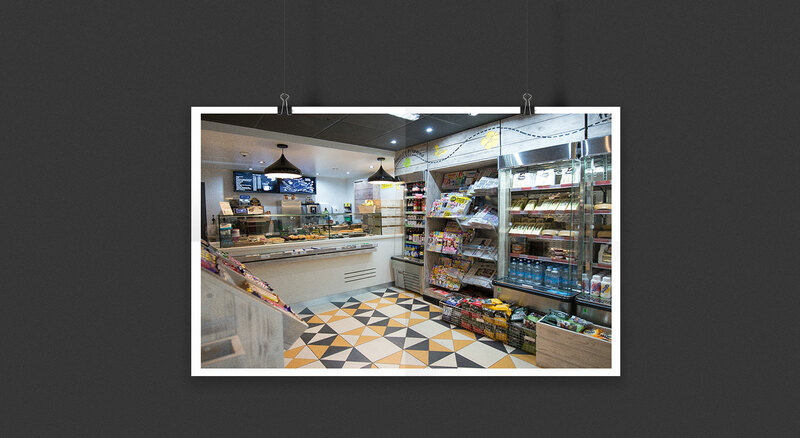 Our design solution produced a clean, fresh and bright scheme which combines rustic finishes and hygienic cleanable materials to form a functional and inviting environment. The concept is being developed further for restaurant and coffee shop uses. We are delighted to have employed GIA for the last 17 years since they have always proved to be extremely cost effective in dealing with the production, design and installation of appropriate themes in to our network of licensed bar and leisure catering outlets throughout the UK. 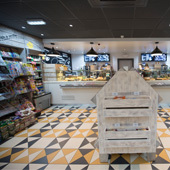 We are delighted to have employed GIA for the last 17 years since they have always proved to be extremely cost effective in dealing with the production, design and installation of appropriate themes in to our network of licensed bar and leisure catering outlets throughout the UK.